In 1276 King Edward I set about constructing a ring of castles around Snowdonia in north Wales, determined to obtain the submission of Llywelyn ap Gruffudd. At that time Rhuddlan Castle was under construction supervised by the King's Engineer, Master Bertram, who had been building castles since 1248 for King Henry III. Bertram was therefore nearing the end of his useful career, and Edward replaced him as Master of the King's Works in Wales by Master James of Saint-George d'Esperanche in Savoy (died c.1308). 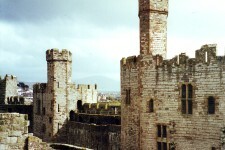 James completed Rhuddlan Castle, then went on to complete Flint Castle and oversee the building of the castles at Ruthin, Conwy, Caernarfon, Harlech and Beaumaris. The castle at Aberystwyth progressed slowly, overseen by [LANC491] Edmund, Earl of Lancaster (brother of King Edward I), but funds and labour gradually became exhausted. 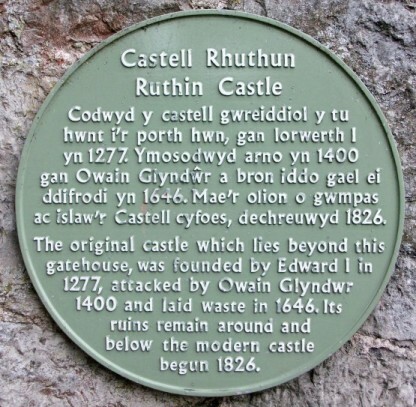 The castle was attacked, briefly captured and burned by the Welsh (1282). Afterwards, Master James of Saint-George was sent to overhaul the building project. Then James left his associate Master Giles of Saint-George to complete the task, while he returned to North Wales. Denbigh Castle was started later (October 1282), with King Edward I, Master James of Saint-George and Earl Henry of Lincoln involved in the planning, but the continuation of the work was left under Earl Henry.